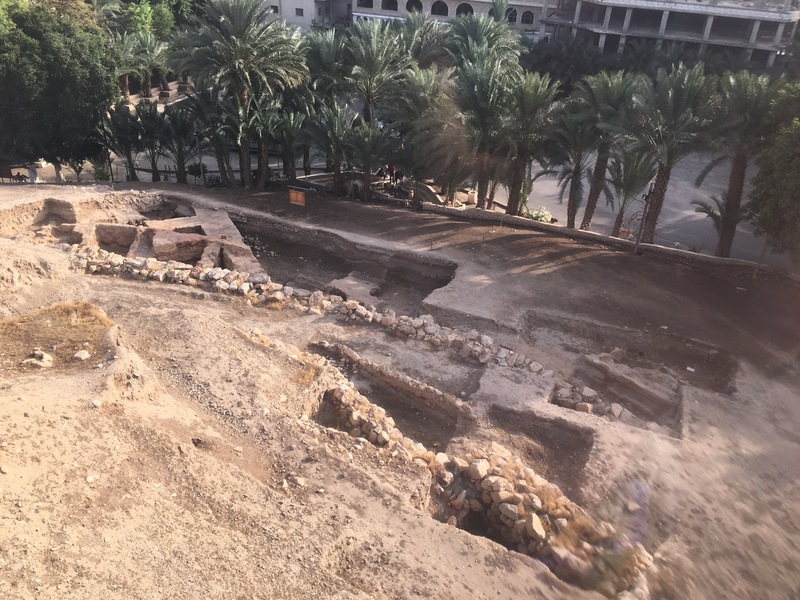 The best way to get to know Jericho on a day trip from Israel is NOT by signing up for a tour from Jerusalem or Tel Aviv. Although it will be more expensive, it is worth getting with a few people and get a taxi to take you to Jericho and back to the Israel side. 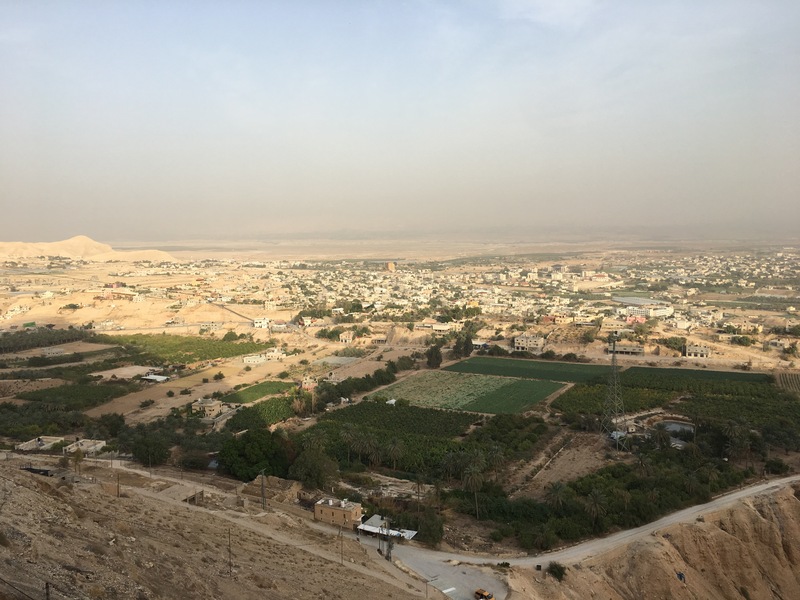 In Jericho itself, engage a local guide and local taxi to take you around. This way you really see and visit the real treasures of Jericho. On a fluke, I did it both ways, so I am speaking from my own experiences. A few places are covered by both tours from Jerusalem/Tel Aviv and with a local guide, but sometimes the experiences were different. 1. 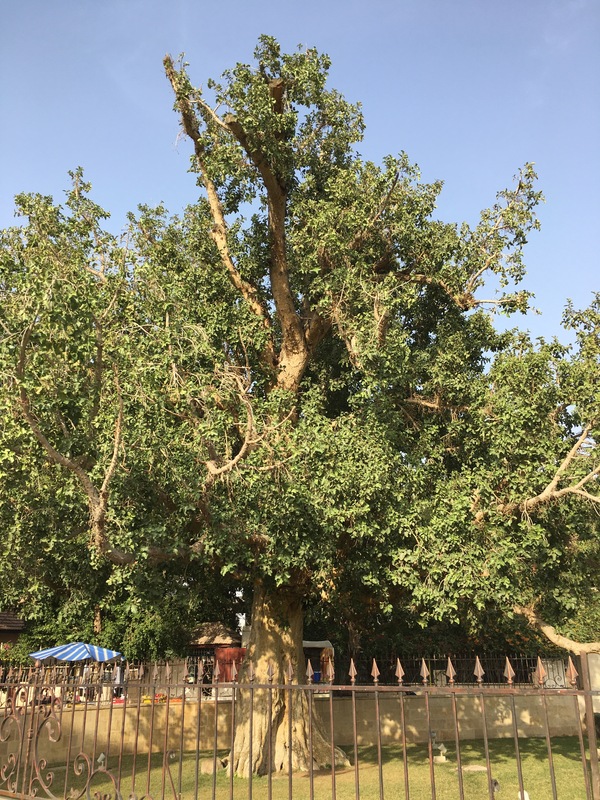 The Zaccheus’ Sycamore Tree is important (though I cannot remember what Biblical occurrence that happened that gave this tree its importance). The Russians built a fence and park around it, and all tours stopped here for a photo op. I was more interested to engage a local fruit seller with his wares and cart instead. The local guide got us local bananas to try. Jericho is famous for its bananas. 2. Mount of Temptation is where Jesus supposedly fasted and meditated for 40 days and warded off the Devil’s temptations. The Israeli tour would take you to a lookout point to take photos of the mountains from afar and perhaps buy some souvenirs. One can barely make out the Russian Orthodox monastery built on its face. When I went with the local guide, we took the cable car up the mountain. We hiked up (about 10-15 minutes) to the monastery and the church. There were two monks left and one was 92 years old when I visited. He sits and reads on the balcony every day. 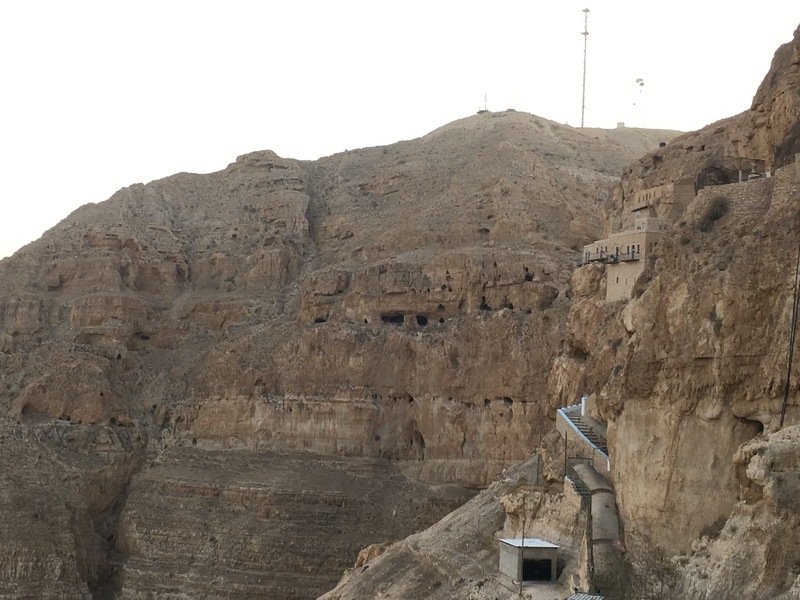 We also saw the cave where Jesus stayed and we saw Jericho city and the Tell es-Sultan ruins from above. What an experience. 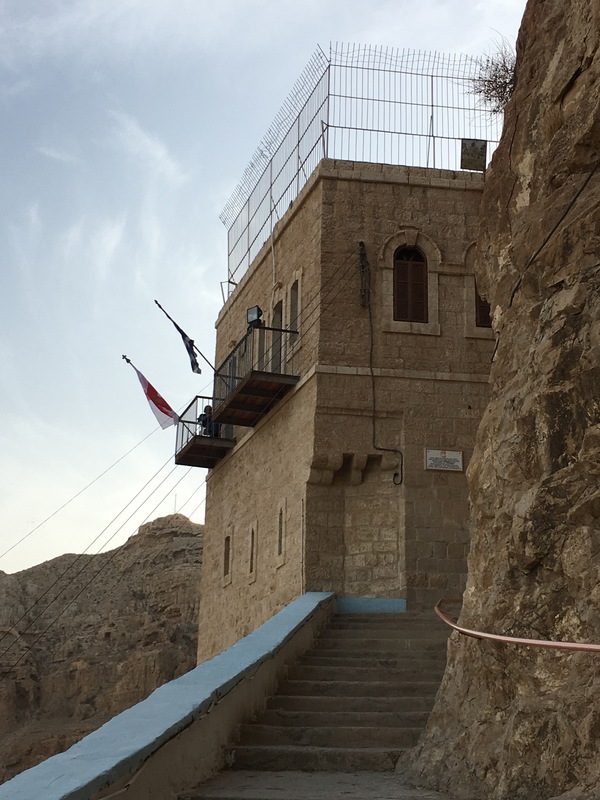 Russian Orthodox Monastery on the cliffside of Mount of Temptation. Do you see the monk on the balcony? 3. 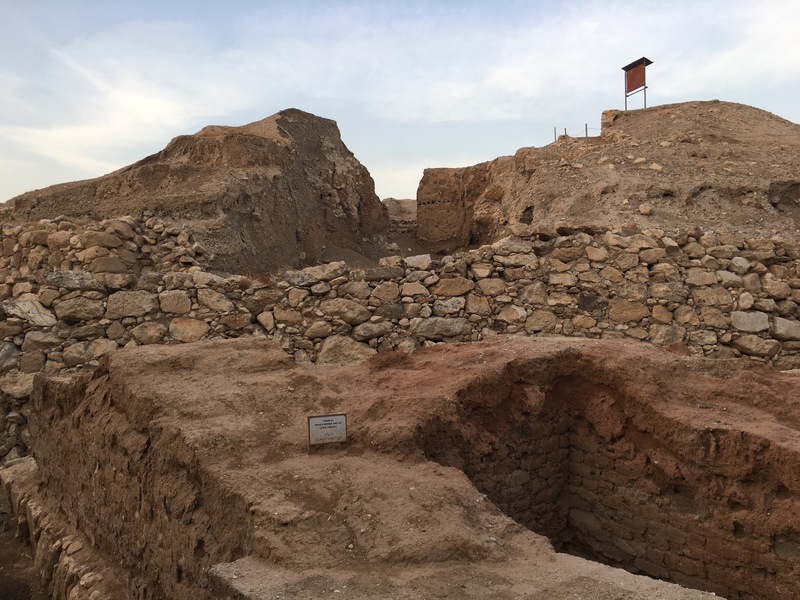 Tell es-Sultan Archeological Site where one of the oldest civilization of Canaanites can be found. The visit here between the tours were not that much different. Both allowed us to explore for about 20-30 minutes. It all comes down to the knowledge of the guides. Both of mine were capable. I enjoyed being in a smaller group. Other amazing places are not even covered by the Israeli tours. And you totally cannot miss these places. If you have not been here, you have not been to Jericho. 1. 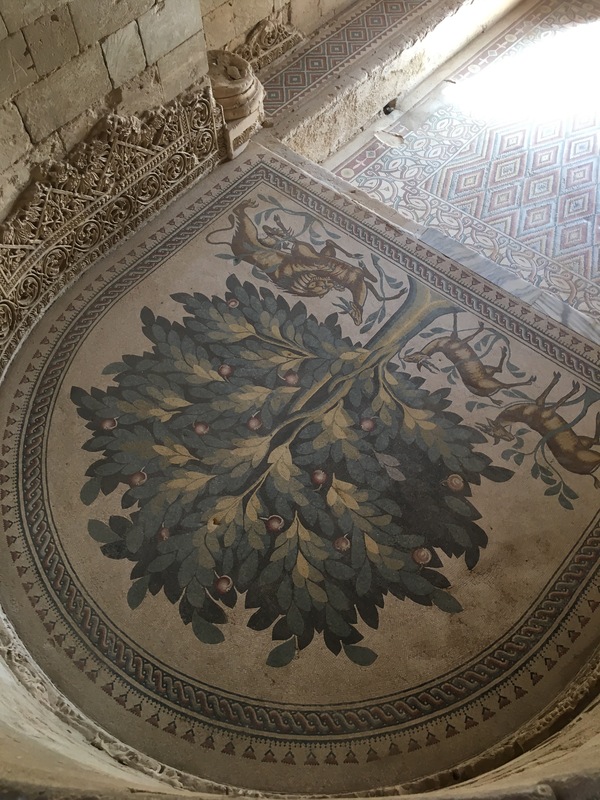 Hisham Palace was a palace built in the Umayyad era. The King who commissioned the palace is the grandson (if I am not mistaken) of Caliph Walid who built Anjar in Lebanon. 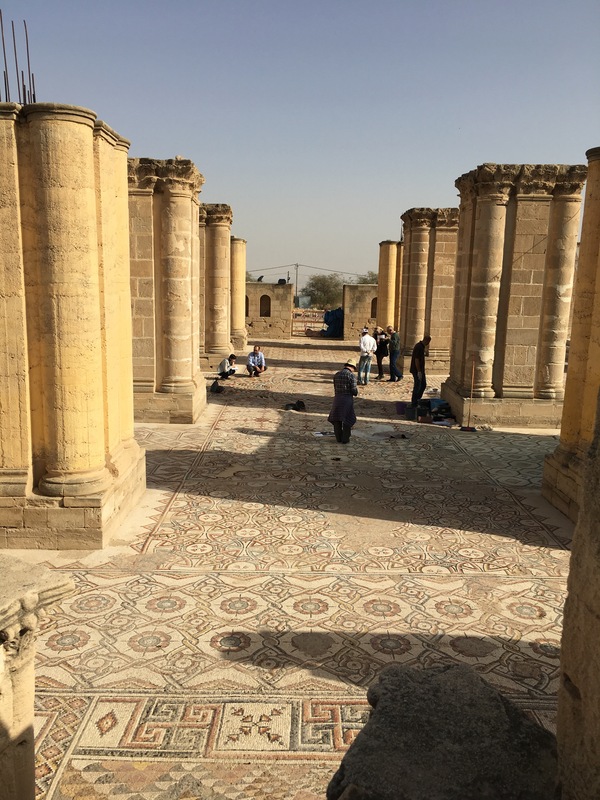 The Japanese archeologists in conjunction with the local archeologists were in the process to restore the mosaic floor of the Audience Hall and the bath. I went back in early December 2016, but I just had a bit of writer’s block on my Palestinian and Israeli trip. 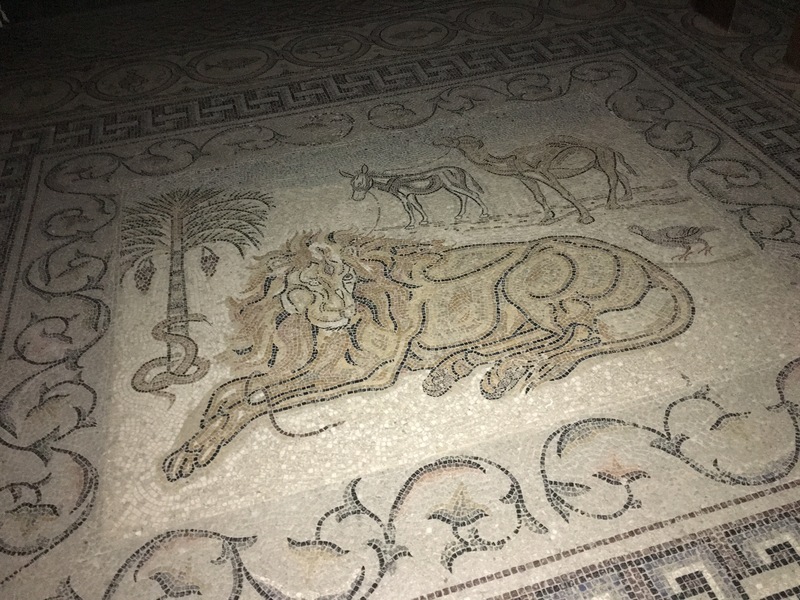 The main highlight will be in the Diwan, where a mosaic floor, depicting a tree, a lion, and three gazelles being hunted by the lions, has been beautifully restored. This image represents good and evil and peace and war. Important guests were received in the Diwan. Do not miss this. 2. St. George’s Monastery (Russian Orthodox) is another hidden gem. I got there a little bit late. The sun has set and they did not turn on the lights inside the main church and monastery courtyard. We explored with our mobile phone torch light. Even then the mosaic works were breathtaking. 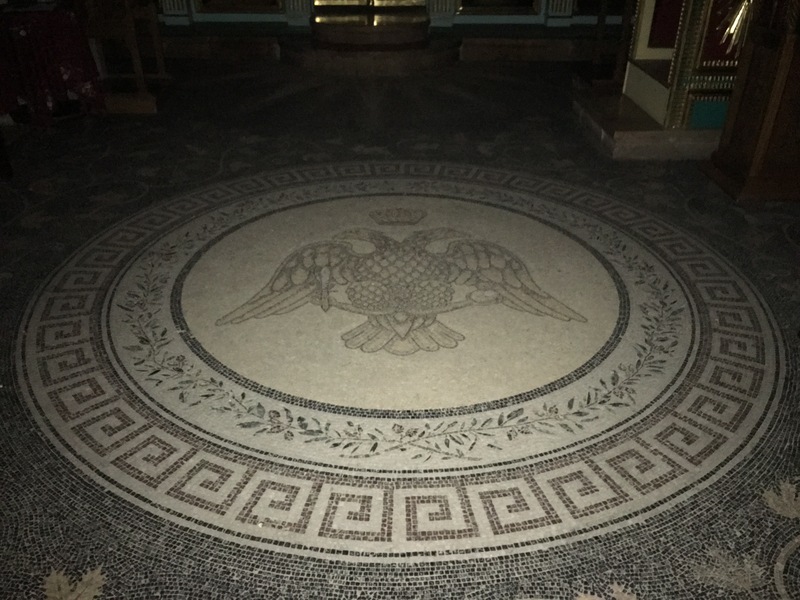 These photos below are just a small number of mosaic works. 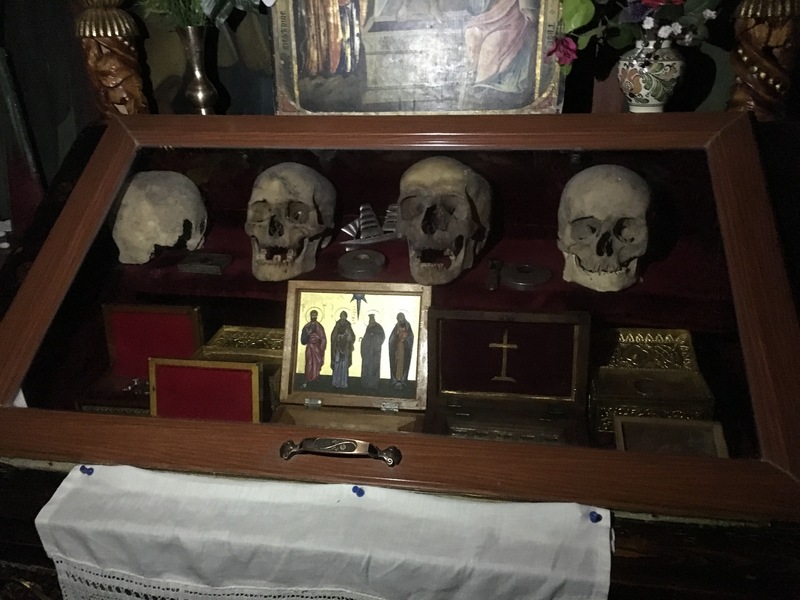 The skulls and bones of four martyrs can be found there. I really love Hisham Palace and both monasteries I visited. I felt my visit with the local guide was much more meaningful. So based on my experience, which Jericho would you prefer to see? Quite interesting and moving the sight of the 92 yrs old Russian monk. I wonder why is he such an avid reader at this stage of his life? Also, to which countries/cults do the two flags hoisted up on the balcony belong to?